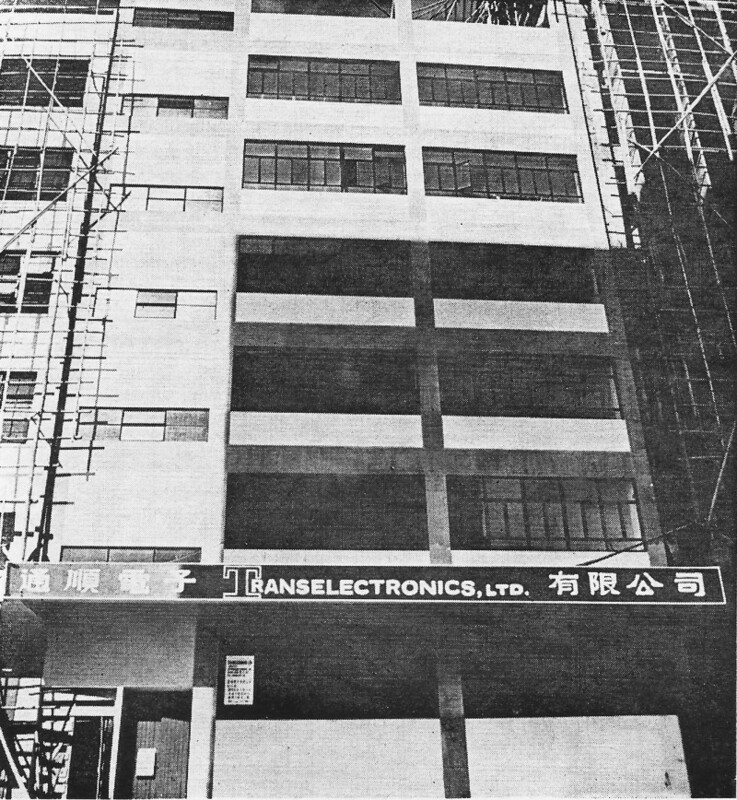 Pardon my gallows humor, but when I first saw this photo from a 1965 issue of Electronics magazine of this manufacturing plant being built in Hong Kong, my thought was that maybe those scaffolds in front of the windows were actually there to prevent despondent, hopeless employees from jumping onto the sidewalks below. These days, more stylish and socially acceptable nets are used. The take-away from this story is that while it might seem the shifting of manufacturing to and/or sourcing of foreign-made products by U.S. firms from China is not a recent phenomenon. This was half a century ago before the fall of the Berlin Wall, before the breakup of the U.S.S.R., the mowing down of student protestors in Tiananmen Square, and other high profile partial breakdowns of Iron Curtain communist regimes. Taiwan was already exporting electronics to the West. Zenith manufactured U.S-designed TV's in China and Fairchild produced silicon transistors there. A deep dive into the history of electronics and other consumer product manufacturing and export from China would no doubt turn up a sizeable list of familiar company names. The more things change, the more they stay the same, as the saying goes. It's just a matter of scale. Transelectronic Ltd., plant being built in the Hong Kong suburb of Kowlow is one example of how the island's electronics industry is maturing. The new company will produce quality radios - over a million the first year, management hopes. Hong Kong, for years a producer of cheap single-band transistor radios, is tuning into a wider electronics business wavelength. Pressed by the cheap sets of Taiwan and sparked by American interest, the old bargain-basement Colony is humming with talk of diversification, new markets, and improved and better-looking products. Though the growth rate this year will fall short of doubling - it has doubled annually for the past four years - businessmen are pleased that the increase will come as much from manufacture of more sophisticated products as from the inexpensive radios, which last year brought in $16 million. The brightest news in Hong Kong has been the success of the component producers. 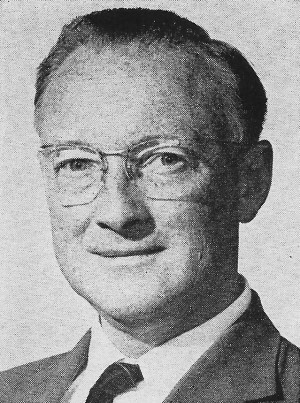 At the Department of Commerce and Industry, assistant trade officer F. S. L. Young predicts exports of semiconductor devices will hit $7 million in 1965. Businessmen are pleased, too, by the news that the United States has become its biggest electronics customer, picking up slack caused by a new United Kingdom surcharge of 15%. United States companies moving to Hong Kong have gone there for several reasons. The Colony is one of the freest places in the world. Export and import licenses can be obtained in a matter of hours. It has British laws, written in English, making it easy for American executives to understand the few regulations the Colony imposes on manufacturers. And then there are the bargains in labor, components, and investment. The Japanese transistor radio manufacturers, who preceded the Americans to Hong Kong by eight years, went there to bypass import quotas imposed by Commonwealth countries. 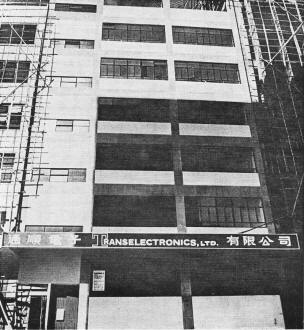 Among U.S. companies that have moved to Hong Kong are Arvin Industries, the Fairchild Semiconductor division of the Fairchild Camera & Instrument Co., the Oak Electronics Co., and the Ampex Corp. And rising smartly in the suburbs of Kowloon, a ferry ride across the bay from the island of Hong Kong, is the nearly completed home of Transeletcronics, Ltd., the new Asian joint venture of the International Telephone and Telegraph Co. and the Zenith Radio Corp. Token production of radio sets is scheduled to start this month; next year the plant is expected to produce over a million sets. Happy. Many Hong Kong residents see Tranelectronics as new evidence of the maturing of the electronics industry. The sets will be engineered by Zenith - in fact, Zenith will have a design engineer at the plant. Usually, radios are fabricated to circuits supplied by a components supplier. Fairchild, which started production late in 1963, moved this autumn to larger quarters because its output of semiconductor devices has grown so rapidly. Oak's plant, in production a little more than a year, has already moved into the black, way ahead of schedule. Arvin came to the mainland in 1964. Exports of television parts, such as very high frequency tuners, produced primarily by Oak Electronics, may reach $2.5 million this year, up from $170,000 last year. E.P. Wethey, president of Transelectronic Ltd., says the Hong Kong market for quality components is growing. Growth ahead. Most component producers in Hong Kong can see only increasing business ahead. Many, like a subsidiary of the Sprague Electric Co. expect to supply a lot of parts to the Philco Corp.'s new television and radio plant in Taiwan, when it starts producing late in 1966. The component men reflect the talk of radio assemblers in Hong Kong who now import almost all their components from Japan but who would like to buy them locally. A few small suppliers have already started producing such components as capacitors, coils, transformers, loudspeakers and printed circuit boards. Although the assemblers have eyed the Fairchild operation in Hong Kong longingly, nobody is yet buying Fairchild's semiconductor devices. One reason is, that Fairchild makes only silicon transistors and the assemblers use germanium. Said a radio executive, "Unless a silicon device is designed especially for a radio application its signal-to-noise ratio is bad." The other reason is price. Many of Hong Kong's radio producers buy transistor fallouts from Japanese companies - devices that haven't met the semiconductor manufacturer's specifications. Even after sorting, the units cost only two or three cents a piece. But this too is changing. E. P. Wethey, president of Transelectronies Ltd., has been studying the operation of other Hong Kong radio assemblers and he notes, "More and more companies' are buying components against specifications instead of buying fall-outs." Still, radio production is the backbone of Hong Kong's electronics industry today. In 1964, the industry produced nearly 4 million sets, valued at $16 million. In the first seven months of 1965, 3 million sets were produced worth $9 million. The decline in gross income from sales of radios - and a sharp reduction in average price to $3 a set this year from $4 a set last year - illustrates Hong Kong's chief problem. Competition from Taiwan has cut prices sharply, particularly for the pocket-sized, single-band radio, which has been Hong Kong's strength. Less expensive. 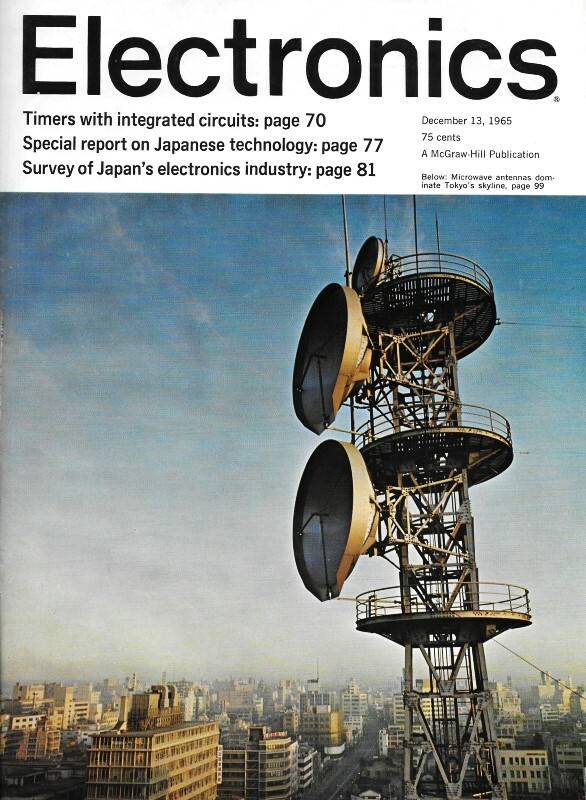 Because Taiwan labor is clearly cheaper [Electronics, Nov. 1, 1965, p. 114] many electronics companies in Hong Kong are now developing more sophisticated sets, 7- to 10-transistor units with several bands, a-m/f-m sets, and some shortwave units. And some of the firms are building handsomer, more attractive radios. International Service Corp. Ltd., which started producing radios just four years ago and grew to nearly $2 million sales in 1964, felt the pinch so sharply, it was forced to take in contract work. For 1966, however, its president, George M. Baker plans some new products. One is a waterproof radio for yachting enthusiasts and beach parties. Then, too, he'll be putting a line of multiple-band sets in teak cabinets instead of cheap plastic. Later he may add stereo receivers in teak cabinets. In addition he's adding production of f-m radio sets. Wireless Products Ltd., the second largest producer of radios in the Colony, fared better - enjoying substantial increase in sales. Last month it moved to its own eight-story building from scattered lofts in two buildings. In its new plant the company has the capacity to produce 180,000 radios a month. This year, its sales should approach $4 million. Only last month, the company chartered an airplane to fly 80,000 radios to Kayson's International Ltd., an importer in Los Angeles, an indication of how good its business is. The shipment indicated another change in Hong Kong electronics: the U. S. has become its biggest customer by far. As recently as 1963, the United Kingdom ranked as the biggest buyer when it imported 46.7% of Hong Kong's electronics output; U. S. companies bought 36.6%. This year, United Kingdom imports fell sharply because of a reduction in demand and the 15% surcharge imposed in March to protect the British pound sterling. In the first seven months of 1964, the U. K. bought 731,000 Hong Kong radios, worth $3.3 million. In the same period this year, the country imported only 457,000 sets at a value of $2.06 million. Meanwhile, from January through July, U. S. companies bought nearly 2 million sets, costing $6.1 million. New markets. Obviously, Hong Kong radio producers would have been in serious trouble if some new markets had not developed, particularly in Canada, Southeast Asia, the Middle East and Africa. • Hong Kong is near a good source of components in Japan and a components industry is building up In the Colony. That's important since the expense of components accounts for nearly three-fourths the cost of a radio. "Hong Kong is the only place where you can build radios before lunch and have them on a boat before supper." • Its few laws are written in English. • Labor is cheap. A female worker receives about $1 a day for the first three months, advancing to $1.13 per day eventually. Even though skilled technicians are in short supply, they earn only between $2.09 and $2.61 a day. • Local banks are the most generous in the world. "They'll even lend you an umbrella," quipped one executive. Hot money from all over Asia flows into them looking for investment opportunities. One advantage Transelectronics has over other Hong Kong producers is a built-in sales force. Zenith and IT&T will take all of its production. Other companies do business with the hundreds of buyers that flock to Hong Kong looking for bargains. Commerce Department's Young explained, "We are at the mercy of buyers. We have to give them what they want." What the bargain lookers want has led to some questionable practices. For example, because the buyers relate the price by the number of transistors in a set, a few manufacturers use transistors as diodes, just to boost the total. You can find single-band pocket transistor radios with anywhere from 6 to 12 transistors; sometimes as many as four of them with only two of their three leads connected. To shake off such buyers, the International Service Corp. reorganized its sales staff. Explained president Baker, "We have to get away from the buyer who comes here seeking shirts, rattanware, plastic flowers and radios. We are setting up a chain of distributors who handle only electronics. It's free. Because of Hong Kong's free enterprise system, its nearness to Communist China, and its flood of refugees, the electronics industry has a little of the aura of a television spy story. An entrepreneur can open business with only a $1,000 investment and one customer. At some plants, quality control consists of turning the finished radio on and off. Officially, 25 factories have registered with the government to produce transistor radios in the Colony, 12 others are unregistered. Ten companies produce components and two others fabricate sub-assemblies such as television tuners and computer memory cores. At Galli's, the fine old restaurant in the Peninsula Hotel, where electronics executives gather over stingers and curry, rumors make up most of the conversation. Fear of competition from Communist China, rising wages, shrinking component supplies are usual topics. One other rumor that created a lot of talk is that somebody is producing television sets in the Crown Colony. Until recently, the rumor was not taken seriously. Almost everybody agreed that Hong Kong had to produce something small and easy to ship. A television set seems too bulky for long-distance export. But now, at least two companies have pilot production started. One is an independent, N. Mings and Co., owned by J. K. Li, who fled from the China mainland nearly 10 years ago. The other is a joint venture of the Japanese Sanyo Electric Co. and Chinese interests. Li is assembling Sylvania kits for sale in Malaysia and Indonesia. Sanyo is assembling the same set its parent builds in Japan. George Baker, who also serves as president of the Hong Kong Radio and Electronics Association, says, "It is only a matter of time until Hong Kong makes miniature television sets and tape recorders."